to expand on our existing professional network by forging mutually beneficial business relationships with select companies in general, to facilitate the exchange of ideas and know-how between their leaders in particular and to promote the sharing of resources and personnel within this network on an as needed basis. Our focus lays on facilitating this process with international partners in the following industries: adventure travel, extreme sports, aero-space and aviation, education, defence and digital marketing. Find out on this page what we have to offer to our partners and what it is that we are looking for. 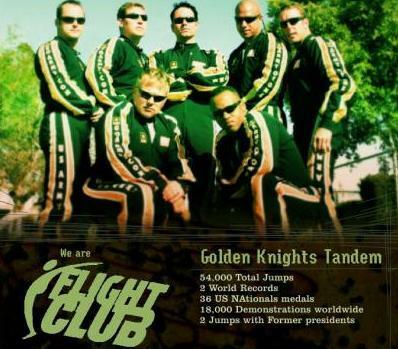 In the earlier days of Flight Club, the success of our enterprise was deeply rooted in the success of the international skydiving careers of our founding fathers. While our activities have expanded into other industries over the years, we have embraced the lessons of the early days. We are profoundly aware of the critical importance of personal development, as we eye-witnessed both, the positive and the negative implications which personal development, or the lack thereof, will bring with it for the overall competitiveness of a team. We have also inherited a very keen sense concerning psychological and sociological ‘do and don’t’ criteria when it comes to forging this team into a winning and sustainable entity. Based on these experiences, we have a long history of, and a world-wide reputation for, organizing state-of-the-art team building events, for facilitating game-changing personal development training and for hosting effective stress management courses. to get the very best out of each participant and to facilitate a fun and co-operative work- and learning environment where together everybody achieves more. Sounds like something worthwhile doing? Our internationally awarded athletes and course conductors are here to help work out a concepts which suits you. In Flight Club we get to go places and see things which are, let’s say, uncommon. 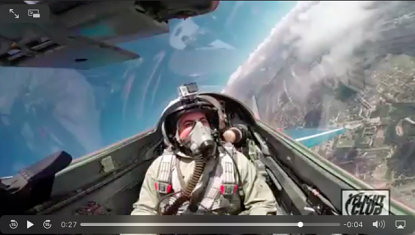 In free-fall, in wind-tunnels, during zero-gravity flights, on-board MiG-29 fighter jets. Typically, our cameras are with us and rolling. More often than not, we come home with rare and unique footage. We also do know how to put that footage to work. With a 20 year history of assisting our corporate partners with material for the development of digital marketing campaigns evolving around adventure travel and various air sport activities, we are here to help you show off your logo in style. Flight Club is consistently looking for new ways to grow our potential customer base and to attract more people to our cause. Accordingly, we appreciate any opportunity to advertise on online affiliate marketing platforms which help us increase brand awareness and drive organic traffic to our website. In Flight Club we understand the value of social capital. Thanks to the success of our sporting carers we have been able to create a truly unique social and professional network reaching across the entire globe. This network is the very corner stone of our business today. We are well connected with long-standing ties in the aviation industry and adventure travel industry, as well as in the extreme sport scenes in Russia, the Middle-East, China, India and New Zealand. If you have a project that requires networking assistance, let us know. Whether it be the exchange of a referral, advice or information you are after, it all starts with a first step. Contact us. In turn, if you know of somebody who’s business activities by nature would benefit our cause, you recognize or can create opportunities for mutual collaboration, or you know how to connect us in any other meaningful way, let us know, too. We are certain to show our gratitude. Flight Club is a high-profile outfit in the adventure travel industry and our activities receive a fair share of public attention. While big media outlets play some roll in this, it is our clients who carry the once-in-a-lifetime experiences they have shared with us into the 4 corners of the planet via their social media networks. 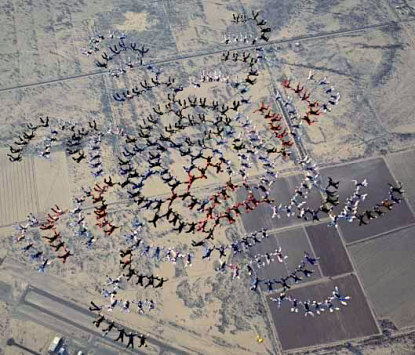 We place and display company logos of our sponsors on aircraft, on entertainment venues like wind-tunnels, on airport buildings and hotels, on parachutes during display jumps, and we wear them on our uniforms and flight-suits when working with our customers. If you are a business owner or a marketing director, and you want to be associated with any Flight Club event or a series of events, please let us know and together we’ll work out a concept for your campaign. Principal photography is the most complicated, intense and the most expensive part of movie-making. Flight Club can help you cut down on time, cost and drama. We enjoy access to specialty venues, equipment and support for our activities through long-standing partnerships in the aero-space- and aviation industries. No matter if you need a fighter jet, cargo-plane or a space-flight simulator for your next "human flight" related action movie or documentary, Flight Club got the hardware and people who can use it for you. We are ready to pay for preferential add placements on select quality portals. We of course also do appreciate any generous non-monetary display options and are going to respond to them thankfully and in kind. Besides having access to some of the cooler toys in the skies, we also have guys and gals in Flight Club who are true masters when it comes to either jumping out-of, or jumping off things in true style. While there is a big hype today about the generation-x cool kids and their one-off approach to performing "first-ever, longest, highest this-and-that" stunts, Flight Club fields experienced professionals who make things look good without all the hype... safely and consistently. According to the Flight Club mission statement it is our goal “to advance the sport, the art and the science of human flight, by making activities which used to be a privilege reserved for the very few and fortunate accessible for everyone”. We actually do really mean that and have an open ear for anybody who approaches us with a good idea, or a reasonable request for our assistance. It doesn’t matter if you are a kid who’s dreaming of flying the wind-tunnel at the Olympic Games, or a manufacturer raising funds for R& D. Just approach us. We will hear you out. You can either speak to us directly using the live chat feature on this site or alternatively, drop us a message via the live chat portal. We are looking forward to hearing from you.